One of the most valuable metals on Earth, gold was valued even above currency in ancient times. 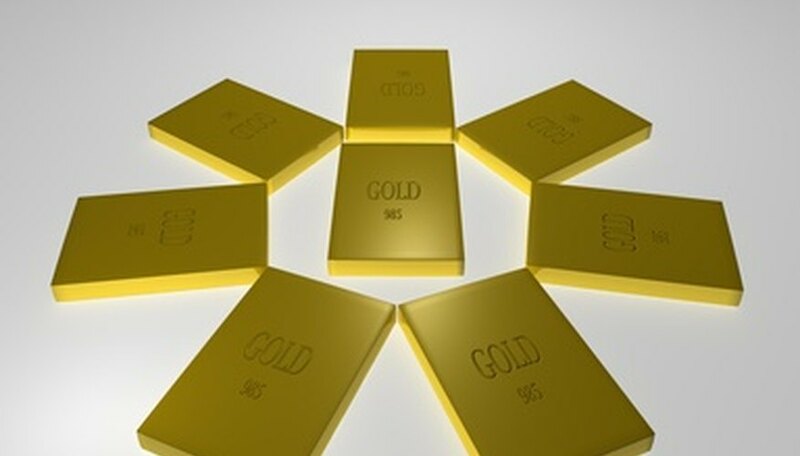 Gold is malleable and ductile with high electrical conductivity and resistance to oxidation. Gold’s melting point is also very high, at 1,945 degrees F. Gold can be stretched and hammered into sheets or strings very easily without breaking, and can be 10 times as thin as paper, according to How to Test Gold. Gold is a soft metal, however, and must be mixed with other metals for strength. There are several tests to identify gold dust. Look at the gold in the sunlight and move it around. Gold will shine, but it will not sparkle. If there are sparkles, you have found pyrite or fool’s gold. Rub a magnet over the gold dust or gold flakes. Gold is not magnetic, so if it is real and not mixed with other metals, it will not stick to the magnet. Drop the gold flakes into nitric acid. Unlike other metals, gold is not affected by nitric acid. This will be a fairly definitive test. Be sure you are wearing protective gear, as nitric acid is toxic. If you have found something larger than gold dust, hit it with a hammer to determine whether it is gold. Gold will not shatter, but it will flatten, whereas pyrite and other gold look-a-likes will shatter. Also, if you have access to an unglazed porcelain tile, and your gold piece is larger than dust, you can rub it across the tile. If there is a yellow streak, it is gold, but if there is a black streak, it is fool’s gold. Be very careful when dealing with any type of acid. Ensure that you wear protective eyewear, long sleeves and heavy-duty rubber gloves when you are handling acids. Smith, Rebekah. "How to Test Gold Dust." Sciencing, https://sciencing.com/test-gold-dust-6404693.html. 24 April 2017.